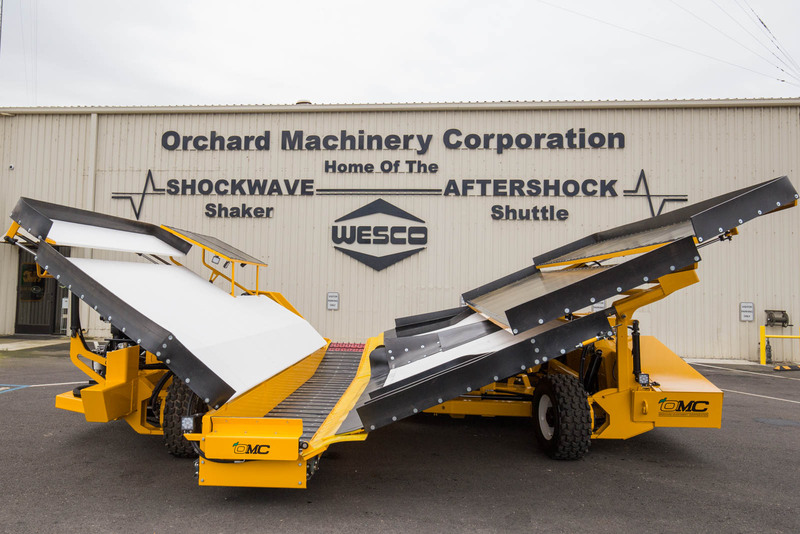 If you grow nuts and fruits that can’t be shaken onto the ground, OMC’s Shockwave Catch-All VII is your best solution. 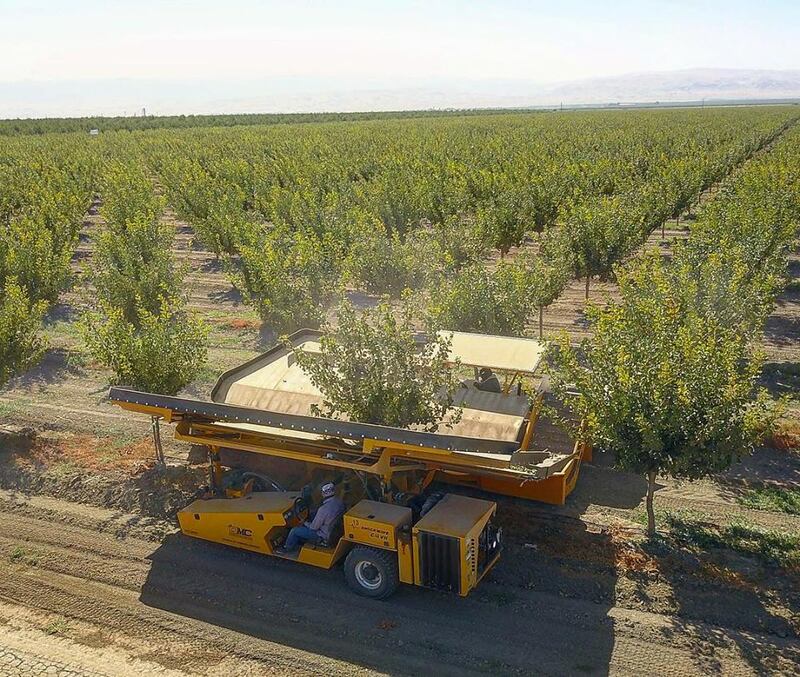 Whether you’re growing pistachios, prunes, cherries, macadamia, olives or any other fruit or nut not allowed to touch the ground, the Shockwave Catch-All VII is there to ensure you fully shake and collect your product, whether you are using bins or collecting in bulk. At the heart of each half of the Catch-All VII system is a 4.5L Cummins turbo-diesel engine in Tier III configuration. The Receiver half of the system carries a deflector, a main conveyor and a transfer conveyor, the latter being your choice of 45 degree or 90 degree discharge. The Shaker half of the system carries the deflector and OMC’s brilliant R-1 Magnum scissor-grip shaker head as standard. 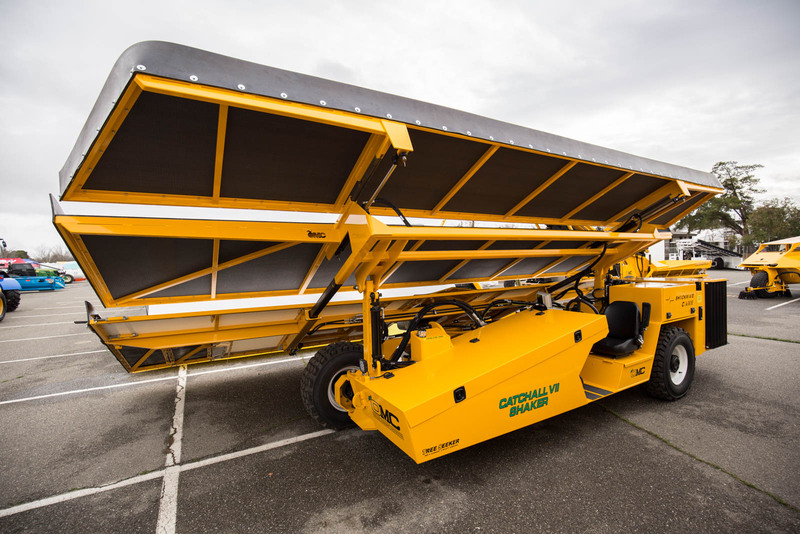 The standard Receiver configuration includes bin forks for loading your product into bins and dropping them off for Bin Carrier pick-up. 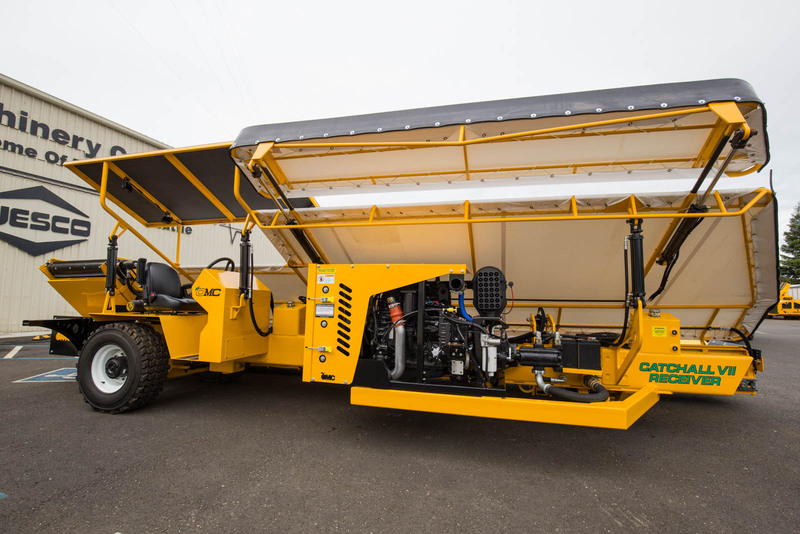 If you prefer to carry your product in bulk, an optional configuration involves a hitch and bulk conveyor so you can load your product into a sleek and spacious towed CC-350 or CC-525 cart.